In 2010, Masashi Hamauzu created his magnum opus in the form of Final Fantasy XIII. He wrote a massive four disc score that showed every strength in his arsenal as a composer. One of these strengths was his collaboration with Ainu vocalist and artist, Mina. This collaboration spawned a new style of music and would revitalize a whole new awareness of the Ainu culture. Thus, Imeruat was born. In 2011, the first EP was released which included three wonderfully written compositions by Hamauzu as well as the sublime vocals of Mina. The following year, Imeruat’s first complete album, Black Ocean, was released. Upon hearing it, I was blown away by the high production value and the depth of which this musical journey had taken me on. I heard a multitude of styles and was just impressed by the entire album. It is rare when I listen to a CD and can enjoy all of the tracks equally. 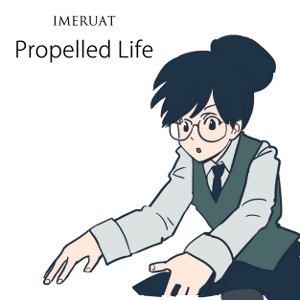 So when I heard Imeruat was to release a new mini-album titled Propelled Life, I knew I had to check it out. Did it live up to the expectations of Black Ocean? Let’s find out! The album opens with “TeNiOE”, which is a very percussive soundin composition. Due to its multifaceted qualities, it is surprisingly hard to describe; on one hand, it is upbeat, yet it also has a hint at darkness. The jazzy piano and synthetic effects offer such substance here. The harmonisation is just sublime, with the chord progressions proving both fresh and invigorating. Mina’s voice is superb here as well with her distinctive Ainu-influenced style and perfect pitching. I feel like her voice is so diverse in both high and low registers, so it is nice to see the middle ground being covered here. 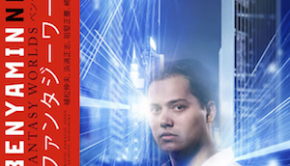 Written in collaboration with Mitsuto Suzuki, the next track is a departure from anything heard previously from not only Imeruat, but Masashi Hamauzu in general. “N-Chart” starts off with synth effects, drums, and electric guitar. I like the radio wave sound as well the progression of the beats. It has a certain complexity in the layering of rhythms. Mina’s voice cuts through the grit of the music and gives us a soft, soothing reprieve from the dark electronic style. This is kind of a like a harder version of “The Vile Peaks” from Final Fantasy XIII. Although the darker beats of this and the experimental electronic influence might turn off those who are seeking the lighter style Hamauzu-san is most known for those with an open mind will find a curious soundscape to explore. I personally like the different style this composition brings to the table. “Fei Fei Fei – Propelled” is a lighter composition that, while more akin to some of the material heard from Black Ocean, still has more of a pop influence. Mina’s voice is just fun to hear as she takes on a more playful tone. The piano part just sounds fun as the chord progressions, as always with Hamauzu, is perfect. I love the bouncy sound that Hamauzu maintains, while the electronic effects are so well placed and utilized by Ryo Yamazaki. The violin performance, although used very little, is appreciated and used to great effect. This composition is certainly one that will get you to tap your foot and hum along. My only complaint is that the end sounds like a really cool section and that is where the track fades! I wanted more! “Varvara’s Ambition” is a sublime composition only let down by its brevity. The dissonant strings and piano create a pleasant atmosphere. Likewise, the sound effects are great and I was surprised to hear accordion. The percussion choice adds a certain ethereal touch making the whole piece a magical experience. Mina’s voice is the real star of the piece as her vocals are mesmerizing and innocent. “Over the Field” reminds me of the ensemble used for Cirotto, minus the koto. This is a beautiful composition written for string ensemble with Mina’s soft and heartwarming voice. Again, my only complaint is that this track is too short at 90 seconds. I crave more and I hope that, in the full album release, there will be more to this one. The final track “Imeruat Calisthenics No. 4” is a piano solo track performed by the virtuoso Benyamin Nuss. This composition starts off relaxing with its dreamy chords, then quickly becomes driven with purpose and life. The bounciness is short lived as the style shifts back to relaxed. I really love Hamauzu’s ability to write pieces like this, where the passages shift through various emotions. The melodies in this are just beautiful. Even the abrupt discords add a really interesting color to this particular musical canvas. 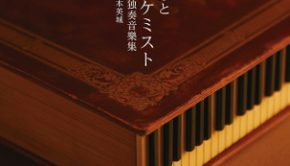 This one is definitely one of Hamauzu-san’s best piano works to date. It is all the more amplified by the brilliant performance of Benyamin Nuss, who plays Hamauzu’s compositions so well. 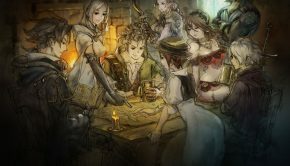 Masashi Hamauzu and Mina’s efforts with Imeruat are truly some of the most creative and well produced musical works I have ever heard. The sound is so different and so fresh. Not to mention Hamauzu creates music that just speaks to my very being and inspires me whenever I listen to his compositions. As a composer myself, having this sort of experience is an energizer as it sparks my imagination and causes me to create music outside of the box. Propelled Life is an amazing mini-album as far as mini-albums go. My only complaint is that some of the track lengths are too short as I felt they could have been expanded and developed upon. Aside from that, the compositional quality alone lets me quickly forgive that. From what I have heard here I am so excited for the full release of Imeruat’s next album. Propelled Life can be purchased on the Monomusik website as a physical album or on iTunes for a digital copy. The price is less than 6 USD, which is worthwhile considering the quality of the 20 minutes of music that lies within. Thanks again to Hamauzu-san and Mina for creating such wonderful, innovative music! Posted on June 3, 2014 by Josh Barron. Last modified on June 3, 2014.